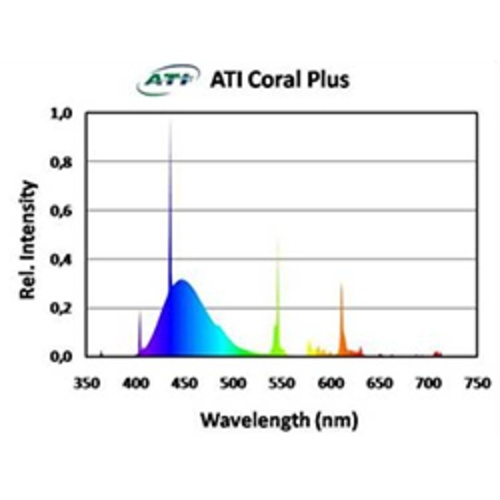 Combines the properties of a Blue Plus (~50%) + Aquablue Special (~40%) + Purple Plus (~10%) producing a bulb with an approximate color temperature of 15000K+. Appears cool, crisp white to the eye. Recommended Use: as a stand-alone bulb or in combination with Blue Plus, Purple Plus, True Actinic or other supplemental T5 bulbs.